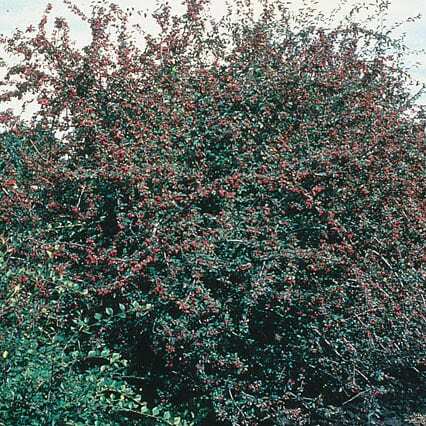 Large deciduous shrub which produces showy red fruit. Flowers are a pinkish-white. Bark is a glossy brown with twigs that are hairless and do not carry thorns or spines. Leaves are oval, untoothed, grey and woolly underneath, 15-40mm long. Fruits attract many species of birds. This tall shrub can be used for farmstead and field windbreaks as well as in landscaping.